heidiskis are made by skiers, for skiers, and were inspired by the longest days and most spectacular conditions. 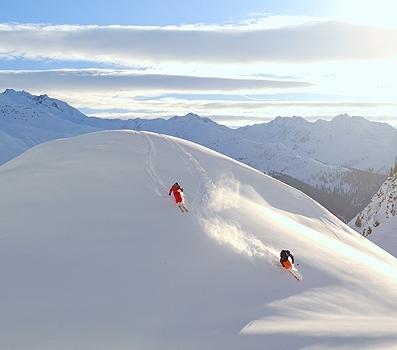 Our team of world class skiers, mountain guides and backcountry experts have all contributed to the development of our high quality ski moulds. Our skis blend the world's finest materials with the inspiration of the Alps. Our goal is to change your expectations for how a ski should perform and enhance your skiing experience. The heidiskis team is proud to give back to the Mountains ranges of the world that have inspired our work. In 2010 and 2011, Heidiskis will donate 10% of each ski sale to The American Himalayan Foundation to help educate children, build hospitals and foster sustainable growth in the area.